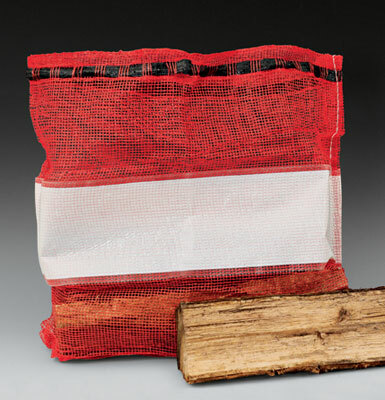 Large mesh bags are strong enough to hold firewood and can also be used to hold heavy fruits and vegetables. Made of heavy-duty polypropylene mesh. UV treated bags have a writing area for quick labeling and drawtape handles that make it easy to cinch and tie closed.